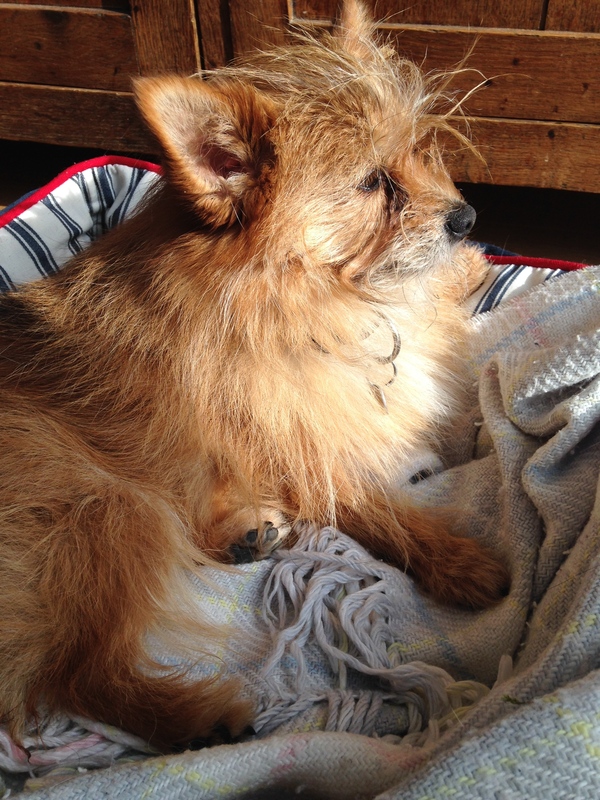 My dog Basil is always with me whether I’m walking, writing, cooking etc. He’s a constant. Yesterday, however, things changed, and the only walk Basil had was in my arms, wrapped in an old towel, straight to the vet’s where he remained. Illness can hit like a tsunami. After an average day of walking, writing and more walking, Basil threw up, and in the early hours he repeatedly excreted blood. With Basil at the vet’s on a drip etc, I didn’t even try to write. How could I concentrate without my little friend? 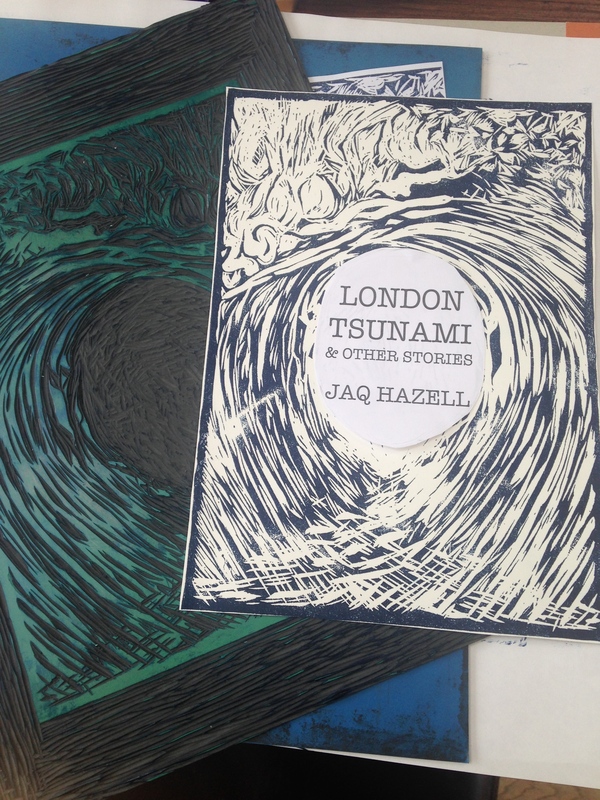 Instead I worked on a linocut for the cover of my upcoming book, London Tsunami. The title story, London Tsunami, is about a woman whose partner, without warning, becomes dangerously ill. Whilst other stories in the collection deal with similarly sudden and unexpected shifts in reality. Today is of course another day and after a night on intravenous antibiotics Basil has bounced back. He’s now home and although he’s a little quieter and skinnier than normal he’s well on his way back to good health. The lino cut is gorgeous, and congratulations on your soon-to-be released new book! 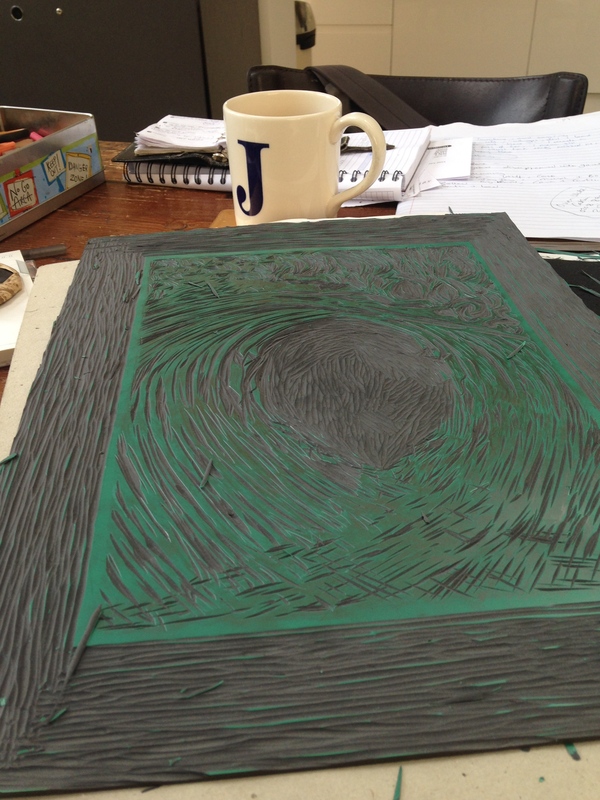 I love the lino cut – it will make a very eye-catching and wonderful cover!